Living in the midst of secular society brings many difficulties which cause people to make difficult moral decisions. Sometimes, what would normally seem like an easy moral decision becomes difficult when we're surrounded by worldly influences. The book of Esther is about people in the midst of these kinds of situations. Were Esther and Mordecai people of character for follow God even in the worst of times, or were they willing participants in the secular influences of their culture? 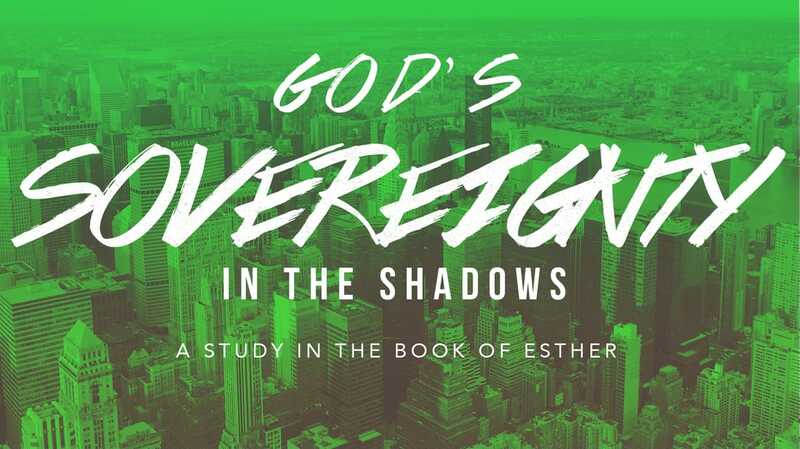 God's name is never mentioned in this book, yet in the midst of all of the moral ambiguity, one thing is obvious: God is sovreignly working in the shadows. Even when people ignore and abandon Him, He is still working out all things together for His glory and our good. Truly, God is always sovreignly working...even in the shadows.